If you often go to bed feeling like you will never get caught up on all of your responsibilities, wondering how you could've worked so hard all day and still have a massive to-do list, this episode is for you. April Perry, the co-founder of the websites Power of Moms and Learn Do Become, shares a step-by-step process for getting out of overwhelm. 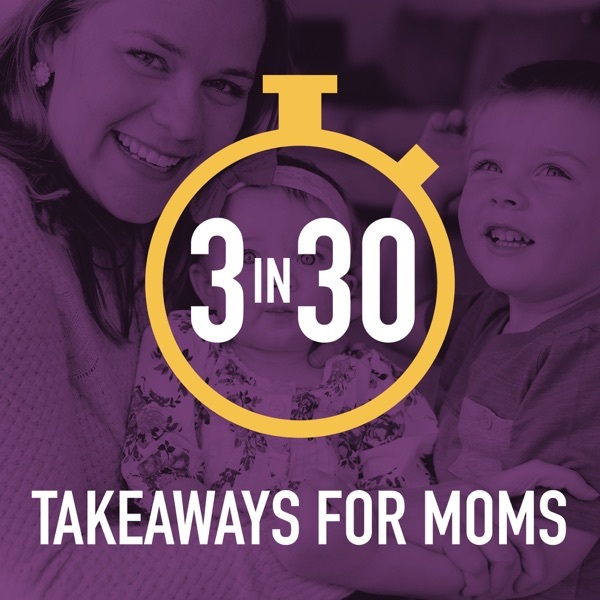 April has spent thousands of hours developing time management systems that help important people--from business leaders to mothers--organize their *minds* so they can focus on their true priorities, get more done, and be more present with their families during downtime. In this episode, April explains this process in detail: 1) Make an ACCURATE list of all of the projects you have brewing in your mind. (Include for your family, for you, and beyond.) 2) Narrow that list to no more than 7-8 projects to tackle this month. Put that shorter list in a visible place to reference often. 3) Using that list, identify tiny "next actions" that will move each project forward. Show Notes -PowerofMoms.com -LearnDoBecome.com -Getting Things Done by David Allen -Essentialism by Greg McKeown. For more about April's organization systems, please visit learndobecome.com/STEP.